At this comprehensive day-long seminar, keynote speaker Justin Branch of Greenleaf Book Group, a nationally known publishing, marketing and distribution company, will share his expertise on the whole publishing landscape and "controlling your publishing experience" for e-books and digital publishing. Other presenters include authors, agents, book marketers and attorneys who will offer guidance on finishing your manuscript, preparing for publication, getting help, marketing your book, understanding copyright and more. 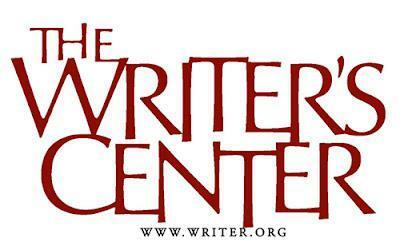 At The Writers Center in Bethesda, Maryland. Saturday, June 23, 9 a.m. – 5 p.m.
“The New World of Publishing” will be led by Justin Branch, a publisher with Greenleaf Book Group, a publishing, marketing and distribution company based in Austin, Texas, whose clients range from well-known brands such as John Gray and Kanye West to debut authors. Ken Ackerman & Neal Gillen will present “The Non-Traditional Publishing Experience.” Ackerman has authored four published books and founded his own publishing company. Gillen is the author of eight self-published novels. “The Story – The Manuscript is Finished – Or is It – What’s Next?”, led by C.M. Mayo, author of The Last Prince of the Mexican Empire, a Library Journal Best Book 2009; Miraculous Air and Sky Over El Nido, winner of the Flannery O'Connor Award for Short Fiction, among many other works. Her presentation will answer the question, How do I know when my manuscript is ready to be published, and whose help do I need to get it there; for example, a private editor, writing coach, or trusted reader? “Developing Your Marketing Plan,” led by Ally Peltier, chief editor, writer and editor of Ambitious Enterprises and Angela Render, owner of Thunderpaw Business Intelligence & Network Systems Management and author of “Marketing for Writers,” will break down what a successful manuscript is and how to design your own program for marketing it. Please call 301-654-8664 to receive student pricing. Attorneys Laura Strachan and Cynthia Blake Sanders will demystify copyright, fair use and commercial speech laws, which are changing rapidly in the new world of publishing and help you understand who owns your manuscript. We've Moved !!! Visit Us at Our New Address.